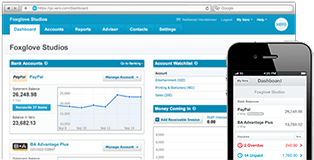 Xero is online accounting software which allows you to run your business and access your accounts from work, home or on the go. Here at CHN Partners we are fast becoming the Xero accounting experts in Melbourne and our clients that have switched to Xero and the cloud love how easy it is to keep their finger on the pulse of their business financials. Because Xero is cloud based our clients can access it from anywhere as long as they have access to the internet. This means as a small business owner you can always get real time information about the financial state of your business. Speak to us about getting your business set up with Xero – you won’t regret it, we promise!